Shade: A sea of blue, green and silver glitter. 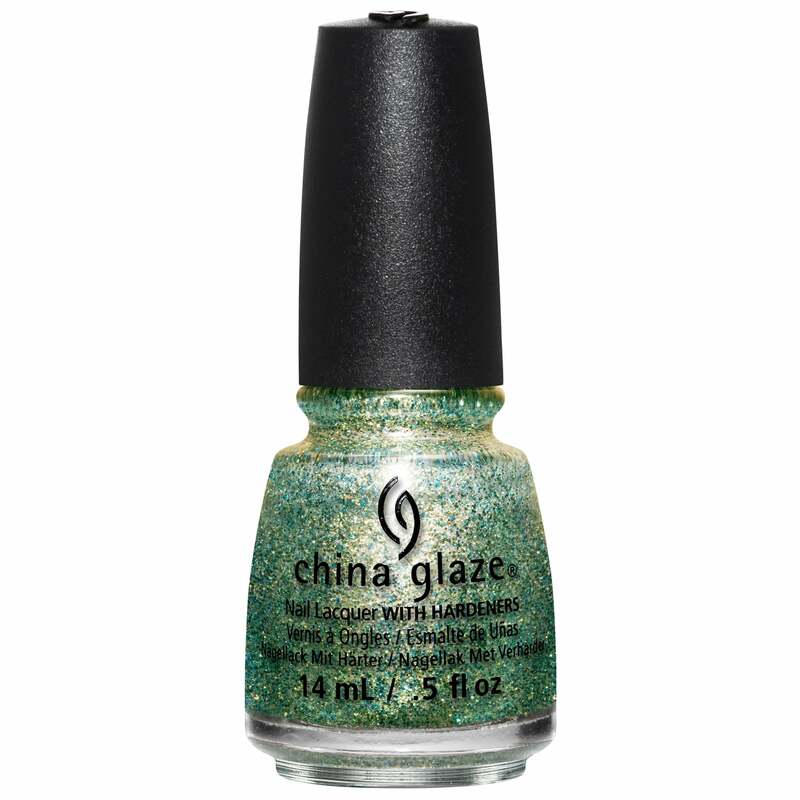 Perfect to add a gorgeous glitter to any China Glaze shade you like. Showing 2 of our total 3 reviews, with an average rating of 4 stars. Read all 3 reviews for China Glaze Rebel Nail Polish Collection 2016 - Holo At Ya Girl! 14ml (83610). Although it's not technically holographic, 'Holo at ya Girl' is a very pretty glittery topcoat. The mix of golden shimmer and blue/green glitter makes this polish highly reflective and incredibly sparkly. It can be layered over lots of different colours to give a variety of effects, or it could be worn alone. If you are looking for a holographic polish, China Glaze's 'Fairy Dust' and 'Golden Enchantment' are both gorgeous holographic glitter topcoats, and 'OMG a UFO' is a metallic green with a linear holographic effect. I love this polish! It goes on so smoothly and layered up the shimmering sparkle makes me play with my nails in the light ^_^ Lasts well, although a little prone to chipping if you don't use a top coat. One of my favourites.